If you are wondering how to start an eBay store or what is involved with starting an eBay shop then look no further. 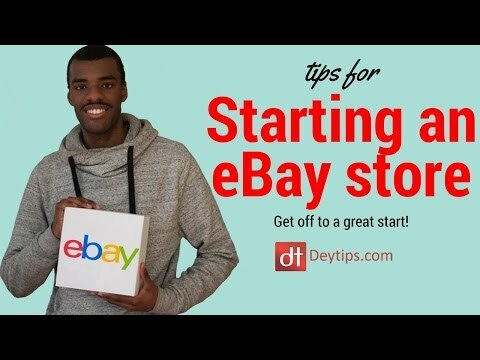 In this video I speak about my personal experiences on eBay and hopefully this will help you out when you are starting your journey as an eBay business owner. eBay is a beast of a website, you can choose from many different eBay shop packages once you decide to start an eBay store. The price of owning your own eBay shop will vary on a number of things particularly the country of which you are selling from, however, for more details on eBay shop prices and fees, do check my website http://www.deytips.com.